Ketchikan Alaska offers anglers some of the best fishing in the world! With our unique location in Southeast Alaska, we have access to all five species of wild salmon: The Mighty King Salmon,The Exciting Coho Salmon, The Hyper Pink Salmon, The Powerful Chum Salmon and The Elusive Sockeye Salmon. Literally, within just minutes of the dock you can be in prime salmon fishing waters, and its not uncommon to have the first fish in the boat within half an hour of leaving the dock! We have extensive experience taking cruise ship passengers who have never fished before, as well as the multi-day groups of anglers who come back year after year. So whether you are a first time fishermen or a crusty old die-hard, we can help you have a dream vacation catching wild pacific salmon. Captain Jim has 10 years commercial fishing experience and over 15 years charter fishing experience in and around Ketchikan Alaska. Since he was a child, he has spent almost as much time on the water as on land and most of that time was spent fishing. He knows where to take you and at what time, to find that dream King Salmon or that school of hungry Silvers to fill the ice-chest with. You can be sure of one thing when fishing with Captain Jim, he will use all his knowledge and experience to make sure you get the fishing opportunity of a lifetime. We offer both full day and multi-day fishing trips as well as 1/2 and 3/4 day trips for cruise ship passengers. The captain(s) that work with us and under our supervision have been thoroughly trained and you can expect the same excellent service from them as Captain Jim has been providing over the years. Working together, we have become even more effective because of our ability to cover more ground and try more lure variations as we determine what the fish are after on any given day. If you are looking for a Ketchikan Fishing Charter, you’ve come to the right place. We are proud to call Ketchikan home all year long and enjoy being in the “Salmon Capital of the World” even after the cruise ships stop coming and the serious rains return. For us, the end of the cruise ship season signals a few more fishing opportunities, some fabulous Alaskan hunting opportunities and the ability to take life a little slower for the next few months. Give us a call and we will be happy to help you see the beauty of our town and the bounty that these waters provide. I assure you that once you have tried it, you will be hooked for life and will want to come back to Ketchikan over and over! Welcome to Ketchikan Salmon Fishing at its finest! Contact us NOW to book your dream fishing trip in Ketchikan Alaska! 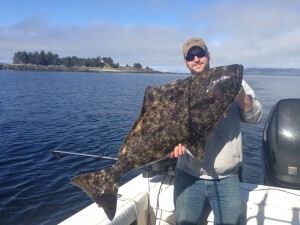 We have fantastic Halibut fishing also, read about it here! As always, we abide by all state and federal regulations while fishing here in Ketchikan Alaska. For more information on these regulations please visit the Alaska Department of Fish and Game website. 2011 brought many regulation changes with halibut fishing in Ketchikan due to declining stocks in our area. We were fortunate to secure a Charter Halibut Permit so we can continue taking Halibut charters as well as salmon when we have the opportunity. To read more about the permits and the new Halibut fishing regulations please look at NOAA’s website. If you want to know more about Ketchikan Fishing, whether Halibut or Salmon please give us a call or shoot over an email. 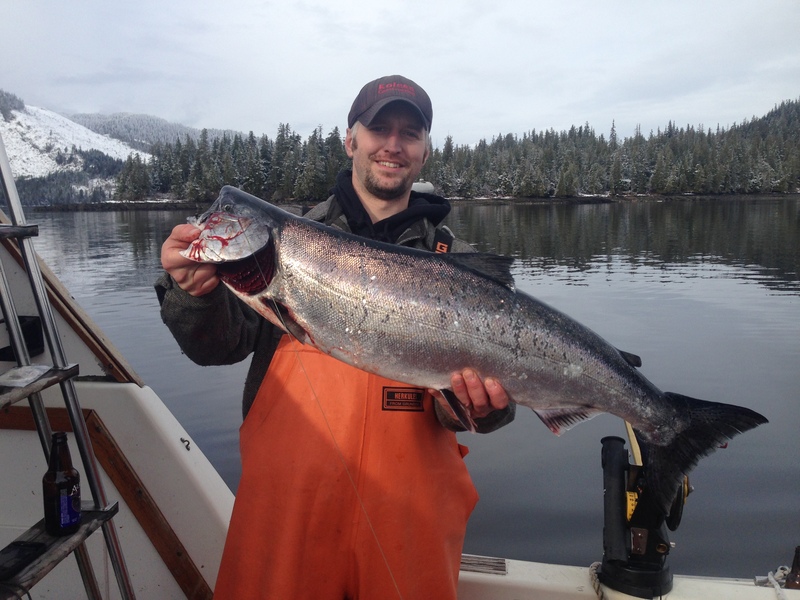 We have many years of experience catching trophy King Salmon as well as Barn Door Halibut and the tasty little “chickens” that we all love to eat. Whether you are looking for Red Snapper, Ling Cod, Pacific Cod or the big flatties – we can hook you up! We proudly serve clients from Disney Cruise Lines, Norwegian Cruise Lines, Princess Cruise Lines and Holland America Cruise Lines along with all the smaller brands and vessels. 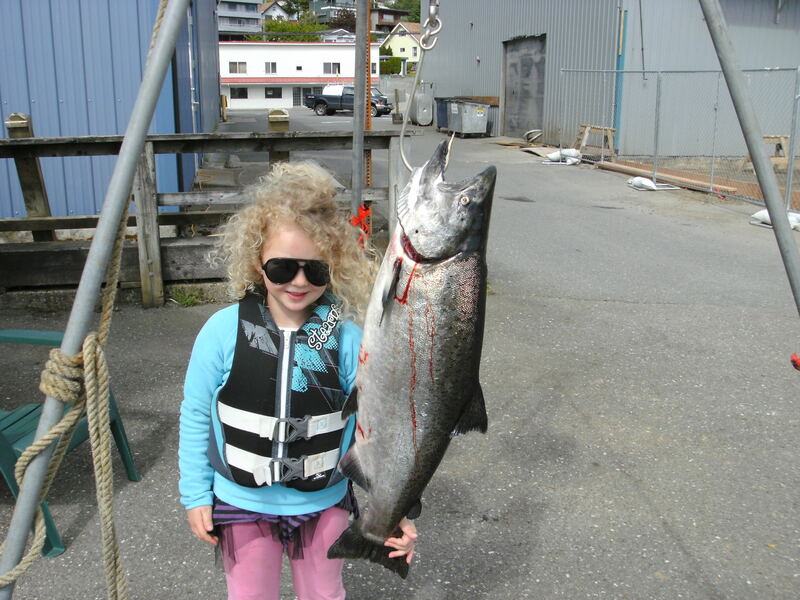 If you are looking for Salmon Fishing Ketchikan, Halibut Fishing Ketchikan or Charter Fishing Ketchikan then you have come to the right place!